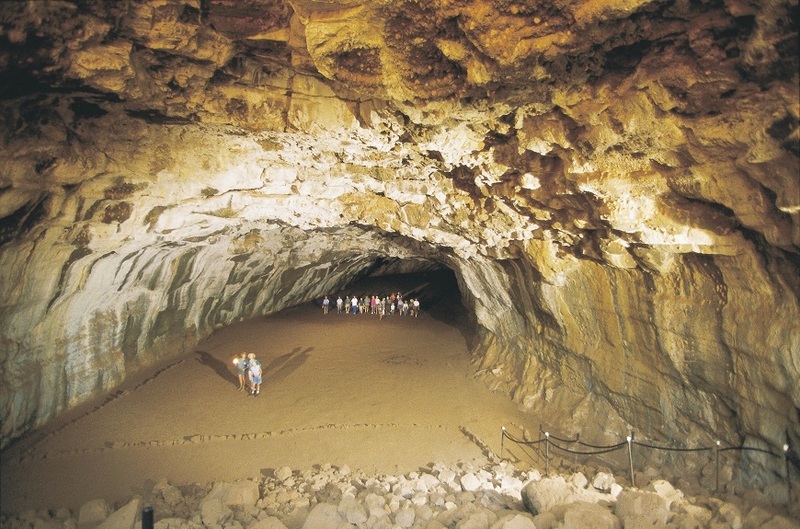 Top Local Attraction, tropical North Queensland , reef rainforest tablelands. 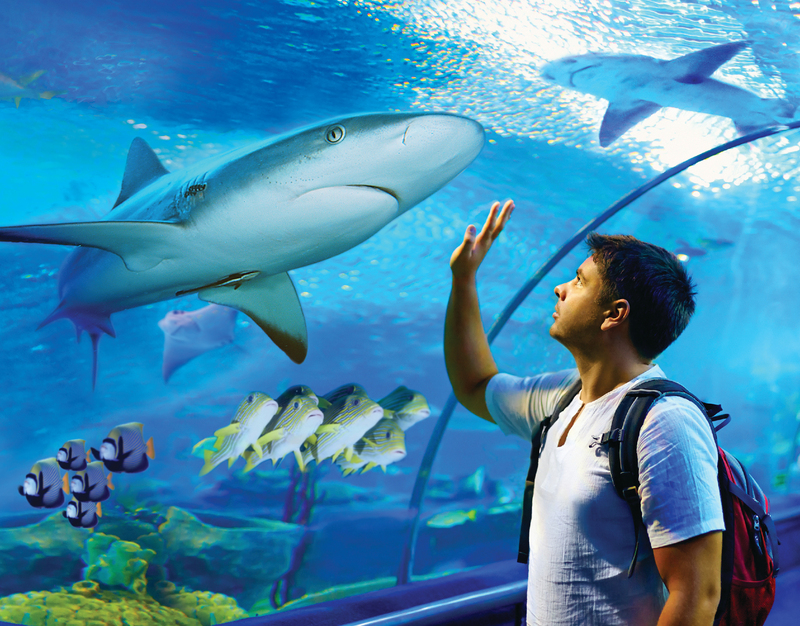 Be guided through ten amazing North Queensland ecosystems from the world’s most ancient rainforest to the world’s largest coral reef to discover 70 different exhibits showcasing the rare and incredibly unique species of this region. 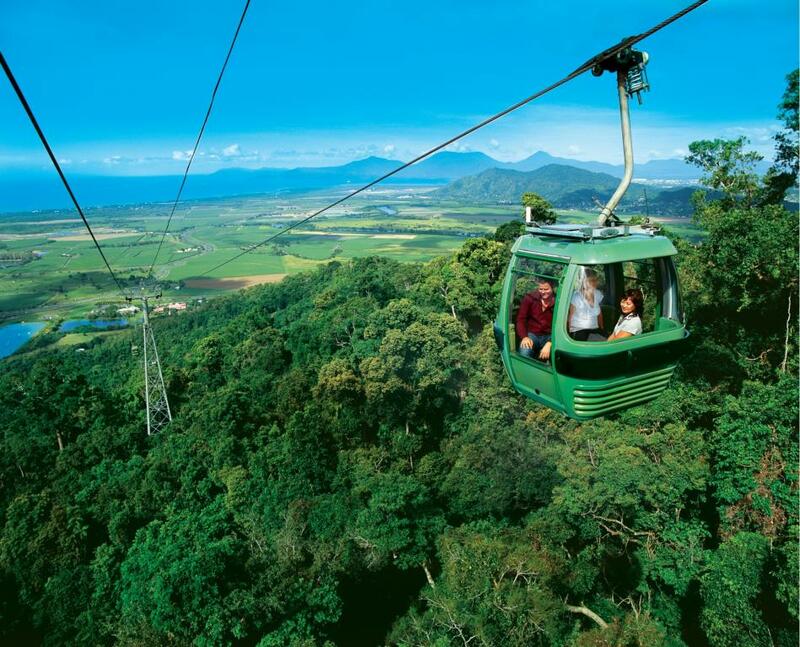 The Skyrail experience, is a must do Cairns tour and attraction spanning 7.5kms over pristine rainforest, allows you to explore the wonders of an ancient tropical rainforest and learn about one of the most botanically fascinating and diverse areas on earth. 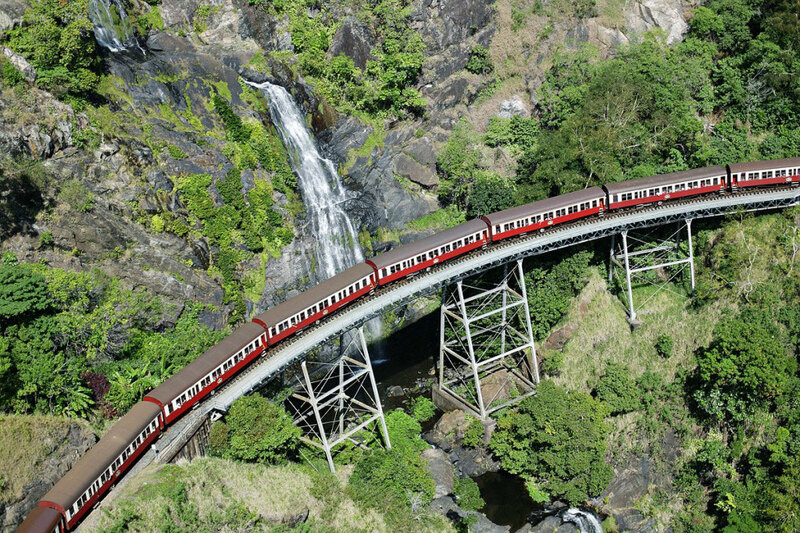 This famous railway winds its way on a journey from Cairns to Kuranda, the village in the rainforest, with Freshwater situated along the line with views of the surrounding mountains. 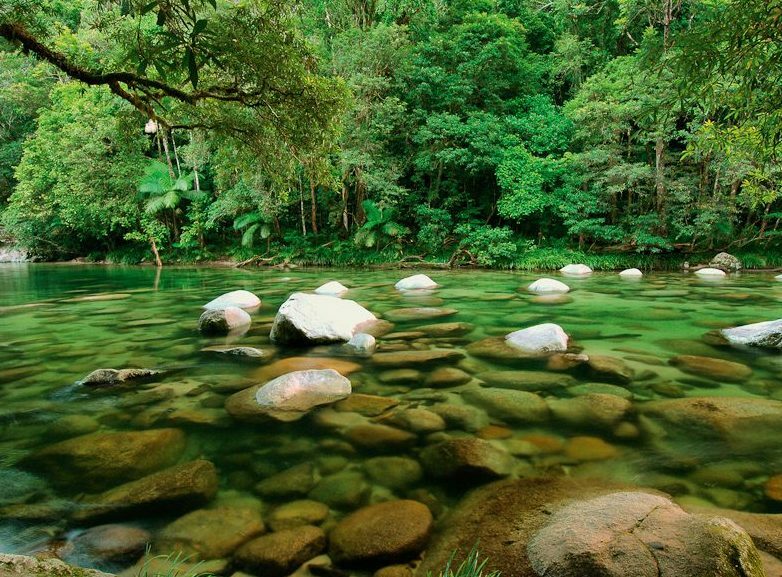 Rising from sea level to 328m, the journey to Kuranda passes spectacular waterfalls and into the stunning Barron Gorge. Upon reaching the village of Kuranda a rich assortment of interesting attractions and unique shopping experiences awaits you. 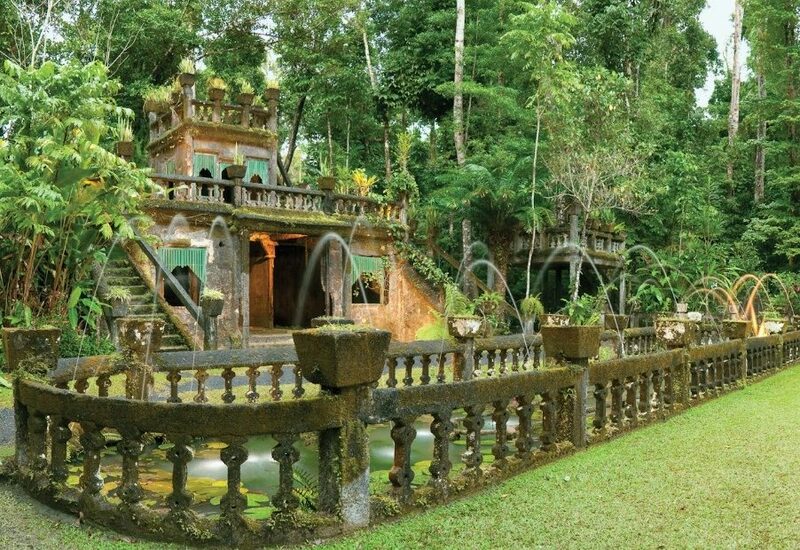 José Paronella’s dream was to build a castle, on 5 Hectares beside Mena Creek Falls he built his castle, picnic area by the falls, tennis courts, bridges, a tunnel, and wrapped it up in an amazing range of 7,500 tropical plants and trees. It opened to the public in 1935. Paronella Park has received multiple Queensland tourism awards, is State and National Heritage listed and is a National Trust listed property. Paronella Park is the site of Queensland’s 1st privately owned hydro electric plant. Elevated walkways, a cantilever, and observation tower offer visitors the exhilarating experience of being high in the rainforest canopy, along with providing spectacular panoramic views of World Heritage rainforest landscapes. The Mamu Skywalk allows visitors to explore the rainforest from the forest floor to the canopy, in comfort and safety. Enjoy close-up views of rainforest plants, insects and birds, and take in sweeping vistas. 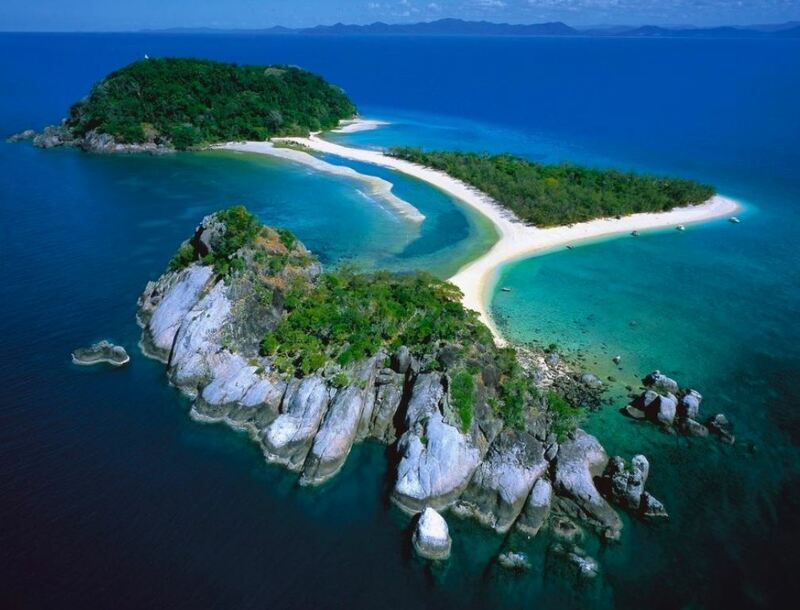 The island boasts an abundance of plant and wildlife species, vibrant and colourful rainforest which is met by beautiful, unspoilt beaches and brilliant coral gardens which are home to tropical fish, giant clams and, most notably, green sea turtles; a popular calling card for Frankland Islands and a number one attraction for our adventurous divers and snorkellers. MV POP is Cairns’ only small ship sailing adventure that takes you to some of the newest dive & snorkel location on the Outer Barrier Reef on the same day. 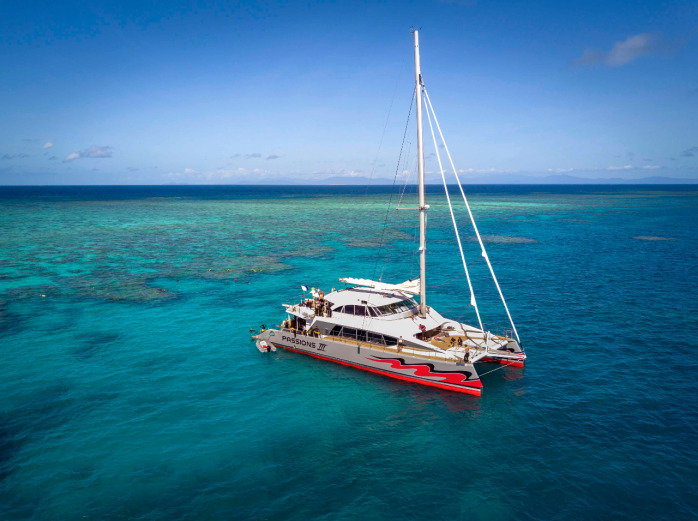 A spectacular sailing catamaran capable of high speeds, MV POP is unique among the many operators taking passengers to explore the Great Barrier Reef of Australia. Snorkelling through coral gardens of giant clams to see turtles and colourful fish you will not see any other boats or crowds as you snorkel on the outer Great Barrier Reef. 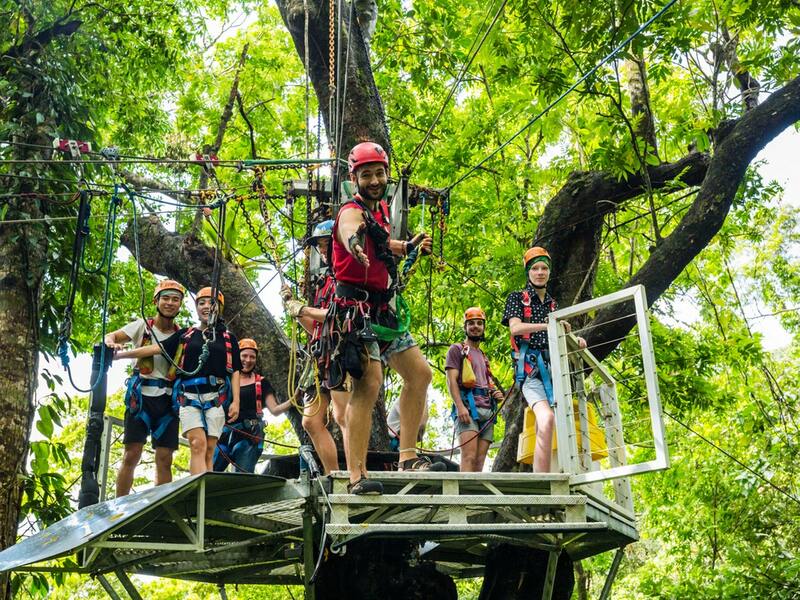 Jungle Surfing takes you into the beating heart of the Daintree Rainforest on a guided tour through six tree platforms, seven ziplines and the world’s first Human Hamster Wheel cable lift. The platforms range from 5 to 19.5 metres above the ground and each one reveals a different level of the rainforest ecosystem with unique and spectacular views into the canopy, over the treetops, down to a bubbling creeks and out to the Great Barrier Reef. This is a place where you can explore natural geological wonders, enjoy the comforts and hospitality of a unique outback setting and where the local wildlife are as abundant, as they are at home, in their surroundings. In short, Undara needs to be experienced! Undara Experience delivers the essence of the Australian Outback. From the natural landscape of rolling savannah plains and ancient lava tubes, to the warmth and hospitality of your hosts and the variety of flora and fauna. 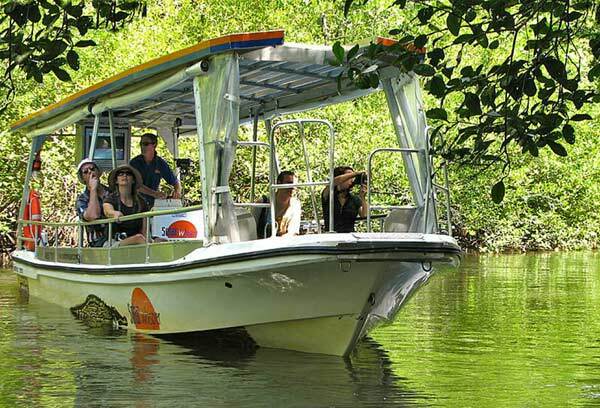 Cruise the Daintree River spotting wildlife on a quiet, clean solar electric boat Solar Whisper. Get closer to nature… hear, smell & experience without noise & fumes. We have a 99% success rate for spotting crocodiles, excellent bird watching opportunities and other wildlife possibilities such as snakes, frogs and fish.Your experienced interpretive guide is accustomed to the nuances of the river and rainforest, and can spot an incredible variety of wildlife that you would not necessarily see on your own. Enjoy our entertaining and educational wildlife presentations including snakes, cassowaries, koalas, crocodiles, quolls and much more. 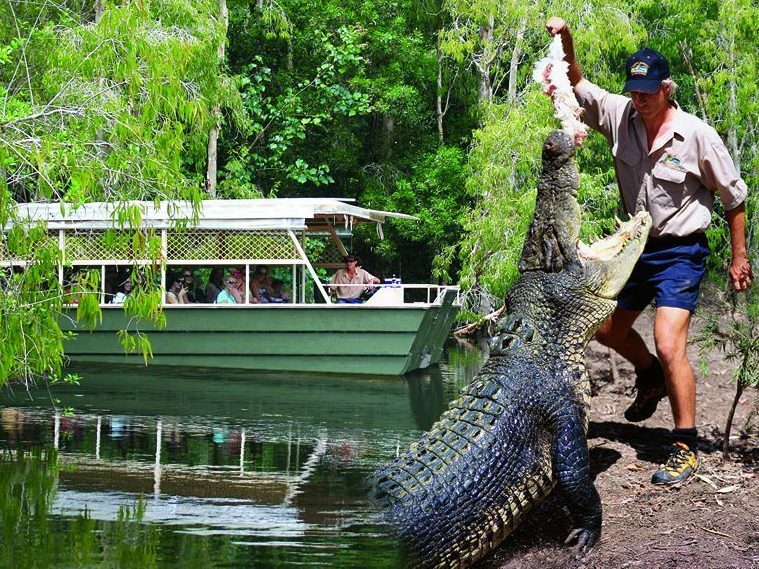 Take a boat cruise on Hartley’s Lagoon to see crocodiles and other wildlife on our melaleuca wetland. Learn about sustainable use and conservation on our Crocodile Farm tour. 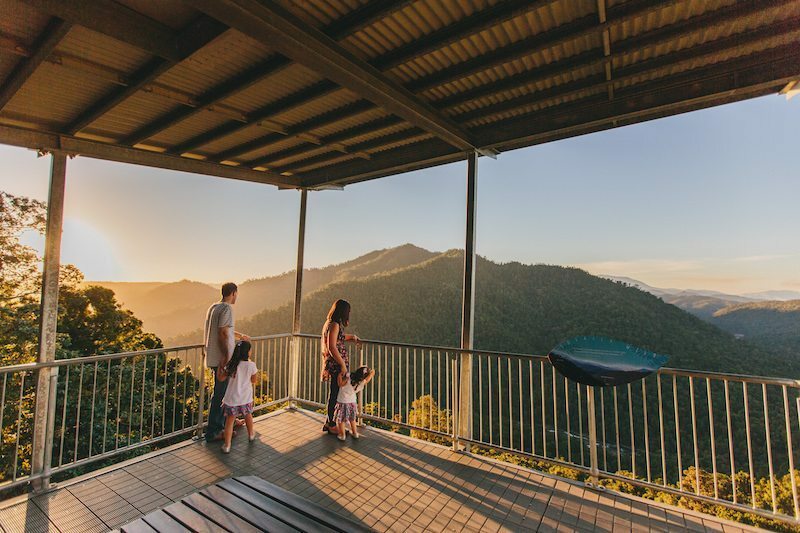 With over 2100 metres of timber boardwalks and pathways leading you on a journey of discovery through woodlands and rainforest where you can see an array of wildlife, including beautiful tropical birds, reptiles, insects and other native fauna. World Heritage listings aren’t given out lightly and this Reef experience will show you why the GBR is so worthy. Flying over palettes and patterns that only nature could create, Green Island shimmers in a jeweled sea – a flight of wonder. 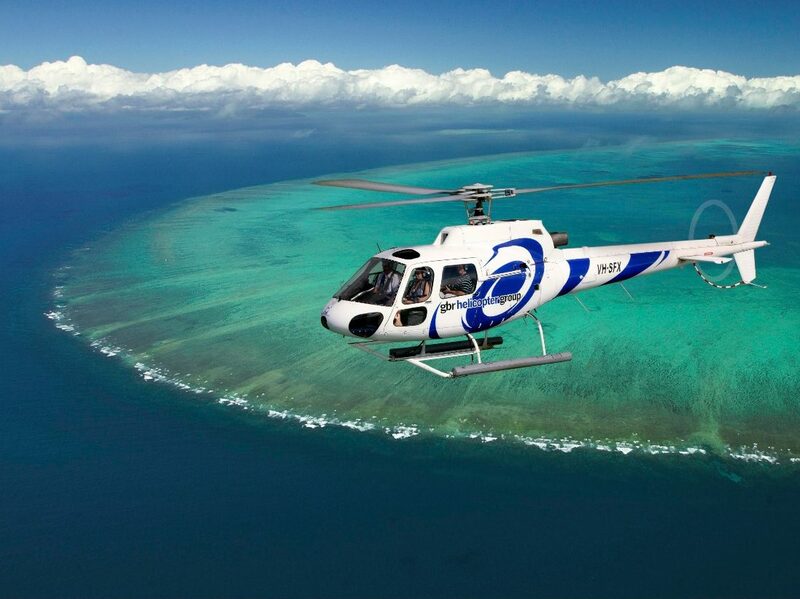 Ascend over the city of Cairns and soar along the rainforest coastline past False Cape up, Mission Bay, the jewel of the sea Green Island, Arlington Reef, and Upolu/Michaelmas Cays. Be amazed by the incredible colours and formations of the reef. Flights departing from Port Douglas include 4 Mile Beach, Island Point, Low Isles, Batt Reef, and Dickson Inlet.